Carbon Nanotubes (CNT) is the material lying between fullerenes and graphite as a new member of carbon allotropes. The study of CNT has gradually become more and more independent from that of fullerenes. As a novel carbon material, CNTs will be far more useful and important than fullerenes from a practical point of view, in that they will be directly related to an ample field of nanotechnology. This book presents a timely, second-generation monograph covering as far as practical, application of CNT as the newest science of these materials. Most updated summaries for preparation, purification and structural characterisation of single walled CNT and multi walled CNT are given. Similarly, the most recent developments in the theoretical treatments of electronic structures and vibrational structures are covered. The newest magnetic, optical and electrical solid-state properties providing a vital base to actual application technologies are described. Explosive research trends towards application of CNTs, including the prospect for large-scale synthesis, are also introduced. It is the most remarkable feature of this monograph that it devotes more than a half of the whole volume to practical aspects and offers readers the newest developments of the science and technological aspects of CNTs. For actual and future researchers of Carbon Nanotubes. Editorial (K. Tanaka). Prospect (K. Fukui†). Synthesis and purification of multi-walled and single-walled carbon nanotubes (M. Yumura). Electron diffraction and microscopy of carbon nanotubes (S. Amelinckx et al.). Structures of multi-walled and single-walled carbon nanotubes. EELS study (T. Hanada et al.). Electronic structure of single-walled carbon nanotubes (K. Tanaka et al.). Phonon structure and Raman effect of single-walled carbon nanotubes (R. Saito et al.). Behaviour of single-walled carbon nanotubes in magnetic fields (H. Ajiki, T. Ando). Electronic properties of carbon nanotubes probed by magnetic measurements (M. Kosaka, K. Tanigaki). Optical response of carbon nanotubes (F. Bommeli et al.). Electrical transport properties in carbon nanotubes (J.-P. Issi, J.-C. Charlier). Capillarity in carbon nanotubes (D. Ugarte et al.). Large-scale synthesis of carbon nanotubes by pyrolysis (K. Tanaka et al.). Carbon nanotubes as a novel &pgr;-electron material and their promise for technological applications (S. Yoshimura). 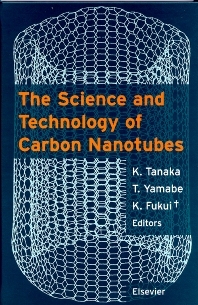 Frontiers of carbon nanotubes and beyond (H. Ago, T. Yamabe). Subject index. Author index. 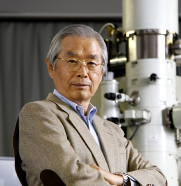 After earning a degree in physics at Tohoku University in Sendai, Japan, Sumio Iijima moved to Arizona State University as a post-doctoral associate where he initiated high-resolution transmission electron microscopy (HRTEM) (1970-1982). Using the technique, he has brought a new type of information of local atomic structures of crystals into condensed matter physics, solid state chemistry, crystallography, mineralogy and materials science. Ample experiences with the different types of materials including nanostructures of carbon materials have led him to discover carbon nanotubes in later years. In these days the technique has been known as the most powerful one in the research fields of nano-materials science and nanotechnology. In 1982 he returned to Japan and worked for 5 years on a national ERATO project on nano-particles, then joined the NEC fundamental research laboratories. In 1991 he discovered carbon nanotubes that have initiated nano-materials science and nanotechnology and has being attracted world-wide researchers in academia and industry. Following the discovery, he has been honored with numerous awards and prizes that include: Franklin Medal in physics (2001), Agilent Europhysics award (2002), Balzan Prize (2007, Italy-Switzerland), Kavli Prize (Norway, 2008), Prince of Asturias Award (Spain, 2008), Order of Culture (Japan, 2009), He is members of Foreign Associate of the National Academy of Science (USA. 2007), the Norwegian Academy of Science and Letters (2009), member of Japan Academy (2010) and foreign member of Chinese Academy of Sciences (2011).